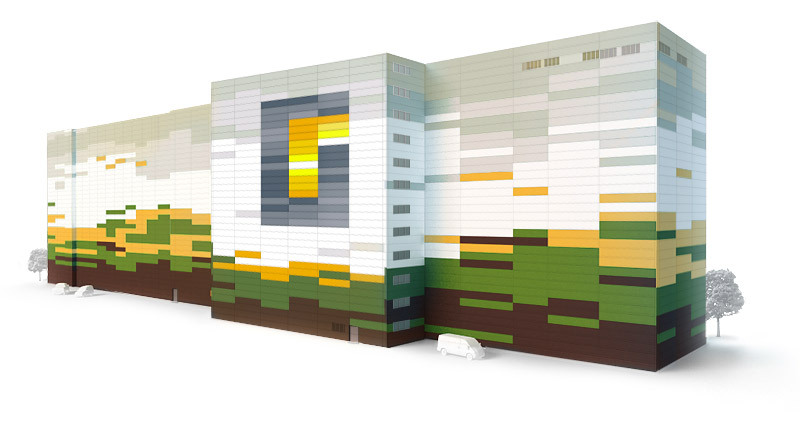 Task: To put the mill's corporate colors on its facade. RyazanZernoProdukt is a part of «Grain Holding.» The production complex includes several buildings, such as elevator, mill, and others, which all need to be wearing the same style using standard panels. Now it’s the mill’s turn. An autumn field is a starting point. It has all the essentials: dirt, summer greens remains, yellow foliage, sky with clouds, and even a flying V of pixel cranes.